Hello everyone. I'm on 14393.51. 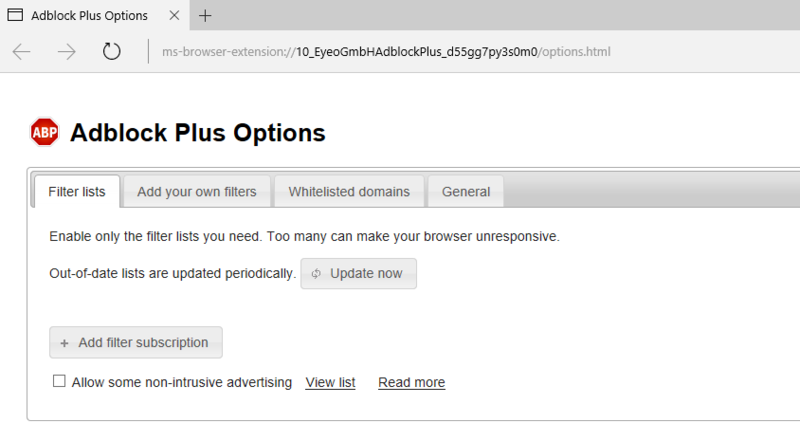 After cumulative was done I opened MS Edge and noticed that Adblock Plus is not working. It's not hiding anything. Also look at the image below. Clicking update now is not working, is not doing anything. I uninstalled it and installed it again about three times with no success though. Why do Photos sometimes not send but othertimes do?